As is frequently said, you never have a second chance to make a first impression. 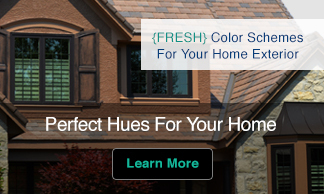 So, as color is a vital part of the first impression, it is important to get the color right. First, look at the industry that interests you the most and wear colors that are appropriate for that business. For example, a conservative industry, such as banking, accounting, or law, will pay more attention to an applicant in a conservative power color like True Blue or Charcoal Gray. You’ll simply look more credible in those colors and that is the message businesses want to broadcast to clients. If you are looking for a job in a glamor industry, women can and should wear trendy colors to accent more basic colors, like black, so you let them know that you are aware of the latest trends. Men can bring interesting trend colors into shirts and ties, or they can look very GQ in all black. What you don’t want to do is wear something out of an old Mafioso movie or too fashion-forward for banking, insurance, accounting, and law firms. If you are one of many applicants, and chances are you will be, try to make yourself memorable by using a conversation piece for color – a piece of jewelry, a scarf, or a really wonderful suggestion of color around the face, as you will be seated and the interviewer will see you only from the waist up. For example, a True Navy sweater with a really terrific Turquoise color, perhaps in a piece of jewelry, could outline your face. For men, it could be an interesting tie that has a touch of color in a memorable pattern. 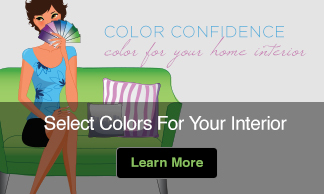 Avoid colors that are fun for other occasions like sports or vacation wear, but could look tacky or garish in a job interview, such as really brilliant Lime Fizz green or Mega Magenta. They are likely to remember you, but for the wrong reasons! As your anxiety level is high on a job interview, you want to wear colors that make you feel confident, and confidence-building colors are those that make you look and feel your best. For that reason, I recommend wearing your signature colors – those colors that repeat, contrast, and/or enhance your personal coloring. For example, if you have ash blonde hair, deep blue eyes, and fair pinkish skin, your best signature colors would be an Ash gray suit with a Royal Blue turtleneck or shirt. If you wear a small scarf, it could include ash tones and deep vibrant blues, both of which are flattering to you hair and eyes. Adding a touch of contrasting rose tone such as a Cameo Pink would enhance your complexion color (as rose and pink always do, regardless of skin tone). A man could substitute a tie for the scarf in the very same colors. And please don’t think of the ink or rose tones as too “girly” – take a look at some of the fabulously fashionable men’s ties and shirts today.